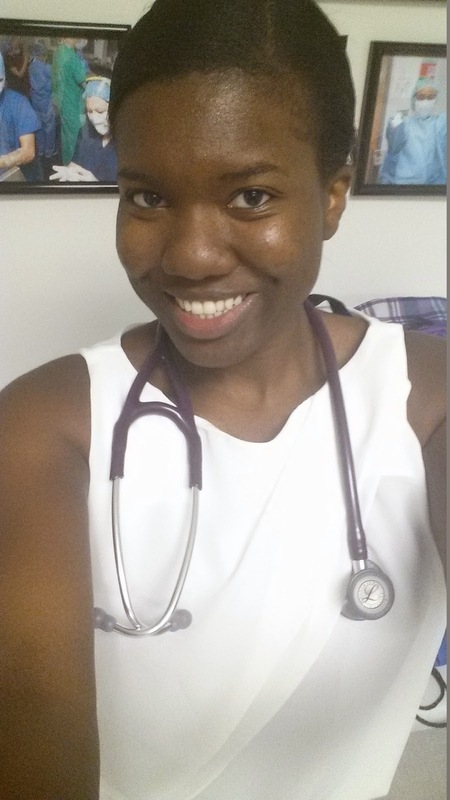 Aspiring Minority Doctor: Reflections on My First Month of Medical School! Reflections on My First Month of Medical School! I looked at the calendar today and just had to write a post. Today marks one month of being a medical student, and what a month it has been! It literally feels like I’ve been in medical school for years (but in a good way), and I am absolutely amazed at the amount of material we have covered so far. Just today, I held an actual human brain in my hands, learned how to do a complete pulmonary and cardiac exam, and I even had a chance to examine my first standardized patient in a mock primary care skills exam. I completely forgot to shake my patient’s hand and I was shaking because I was so nervous, but for my first time, I wasn’t that bad, LOL. In the past month alone, I have accumulated TWO 2-inch binders full of notes, covered the entire back, thorax, head and neck anatomy, learned how to read and analyze MR and CT images, and learned how to do various osteopathic manipulation techniques. This is in addition to having classes in embryology, physiology, histology, and epidemiology, and it really has been a complete blur. The course load is definitely no joke, but I slowly feel like I’m starting to get used to it. I’ve also had some really cool and unique experiences like holding an actual fetus, seeing the effects of cigarettes on actual lungs, and I am now convinced that I can diagnose a person with Horner’s Syndrome or somatic dysfunction. Just don’t ask me about anything else, because that’s all I know for now, LOL! I could go on and on about what I have learned and experienced in the past month, but to make a long story short, I love everything about the past month! I can definitely see a little growth, a lot of adaptation, and new opportunity every day to learn something new about myself and the human body. I’m not going to lie and say I haven’t had days where I have been completely stressed out, depressed, and exhausted beyond belief, but every day something happens that reminds me of the fact that I am where I need to be, and where I want to be. I think I might be a slight masochist, because I really do love everything that I’m doing right now, and no matter how hard it gets at times, I always seem to want more. Let’s just hope it stays that way! Looking good! So much info to absorb in such a short amount of time! I've never studies this much in my life!!! I study so much that I start dreaming about it, lol! A Tough Week, but I Survived!!! !